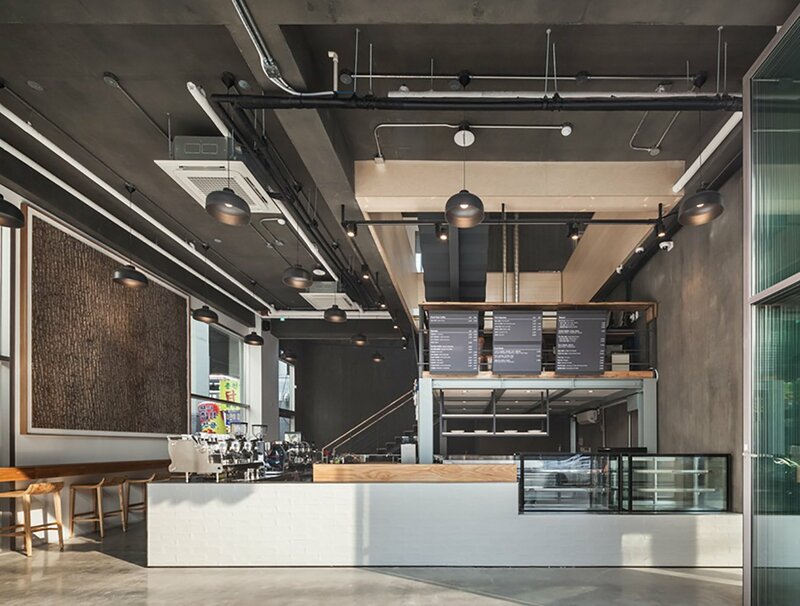 Jury comments: Abutting an elevated subway station in the center of a major commercial district in densely populated Seoul, South Korea, this mixed-use development offers 21 microunits and a three-story coffee shop. 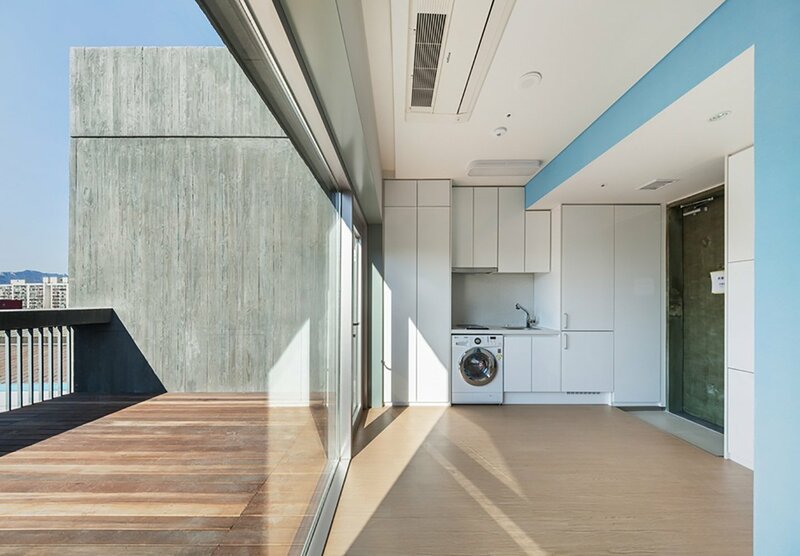 Every unit has a private terrace as large as the interior studio. 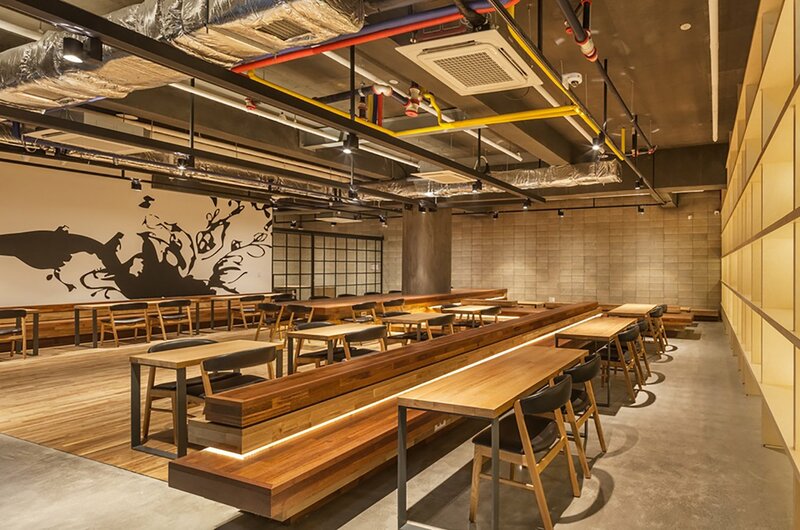 The public spaces include seating areas with lush wood furnishings, warm light, and artwork. 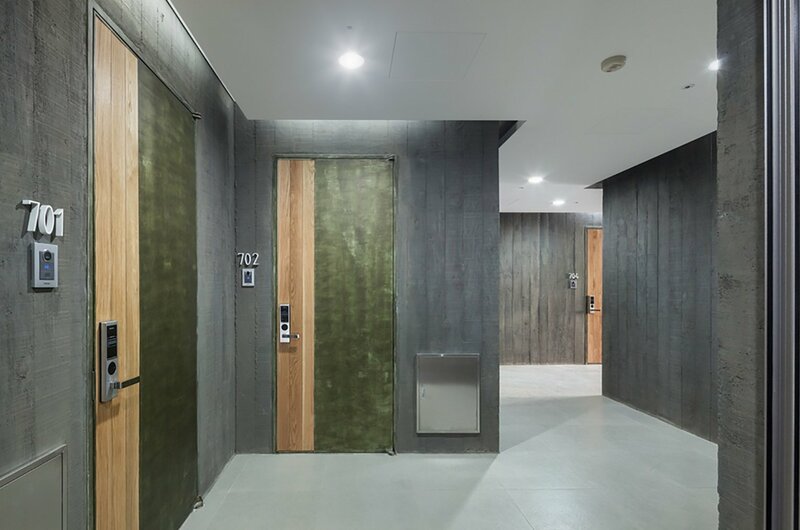 Sustainability plays a part in the design strategy, employing smart rainwater management, photovoltaic panels that power the LED lights in the common areas, and radiant floor heating complemented by ductless heat pumps in the ceiling. Upper units offer unobstructed views of the city and the mountains beyond. 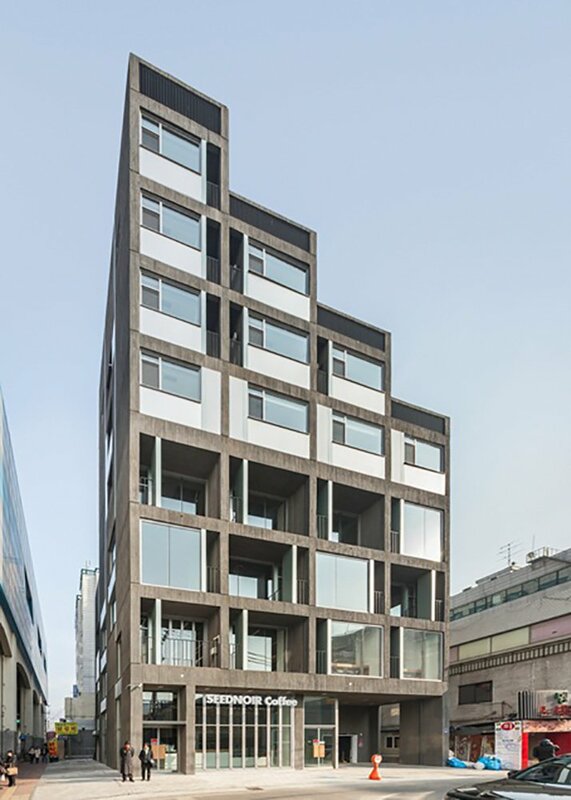 The facade is concrete with punched windows. Inside, black concrete in the common areas looks elegant but overly dark.